Posted on 12/10/2018 by Cardiag Inc.
Diagprog 4 software updates released on 2018 October. This list includes premium and free software updates. Also, it contains new software fixes. For more information, please contact us directly. Diagprog 4 software updates – 2018 October was last modified: October 12th, 2018 by Cardiag Inc.
Posted on 29/01/2017 19/04/2017 by Cardiag Inc.
PSA BSI Johnson Controls (KWP2000) – new flash files added to server DataBase. Diagprog 4 software updates – 2017 January was last modified: April 19th, 2017 by Cardiag Inc.
Posted on 04/05/2016 19/04/2017 by Cardiag Inc.
Diagprog 4 software updates released on 2016 April. This list includes premium and free software updates. 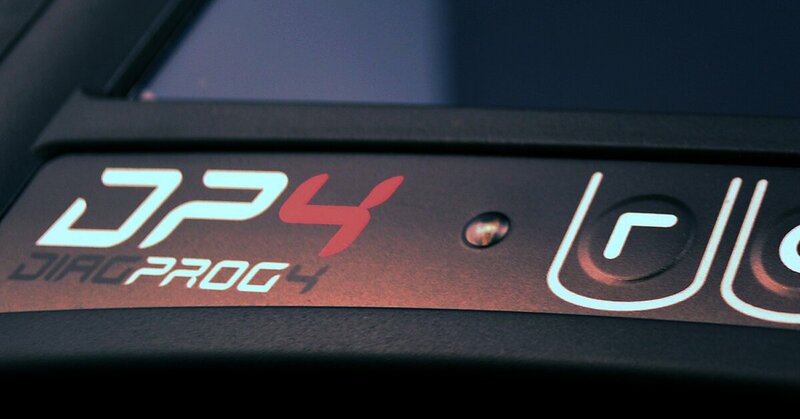 Also it includes new Diagprog 4 software releases. Ford Transit (2006-2008) D70F3325 – OBDII programming. Jaguar XF (2016) with D70F352 – OBDII programming. Jaguar F-Type (2016) with D70F352 – OBDII programming. Land Rover Range Rover Sport (2016) with D70F352 – OBDII programming. Land Rover Range Rover Evoque (2016) with D70F352 – OBDII programming. Fiat 500 Magneti Marelli (2016) with TFT – OBDII programming. Jeep Renegade Magneti Marelli (2016) – OBDII programming. Honda Fit (2014) with MB91F061BS – OBDII programming. Honda City (2014) with MB91F061BS – OBDII programming. Honda Jazz (2014) with MB91F061BS – OBDII programming. Honda HRV (2014) with MB91F061BS – OBDII programming. Mazda 6 (2014) – OBDII programming. Mazda 3 (2016) – OBDII programming. Ford Galaxy MK3 Continental Visteon – OBDII programming. Ford S-MAX MK2 Continental Visteon – OBDII programming. Hyundai Santa Fe (2016) with MB91F067CS – OBDII programming. Hyundai Elantra (2016) with MB91F067CS – OBDII programming. Hyundai Avante (2016) with MB91F067CS – OBDII programming. KIA Sorento (2016) with MB91F067CS – OBDII programming. Fiat Toro Magneti Marelli (2016) – OBDII programming. Honda Pilot 24C16 model (2015) – programming mileage. Volvo V40,V60,S60 model (2013-2015) – OBDII programming. Volvo XC60,XC70 model (2014-2015) – OBDII programming. Volvo S80,V70,XC60,XC70 – OBDII programming (PDM/DDM). Suzuki Grand Vitara Continental with D70F3422 – OBDII programming. Diagprog 4 software updates – 2016 April was last modified: April 19th, 2017 by Cardiag Inc.
Posted on 16/02/2016 12/04/2016 by Cardiag Inc. This is the latest software update (released on 2016.02.03) for Enigma Tool device. Please contact us if you need more information about this Enigma Tool update or if you want to purchase it. If you need software update price calculation by email or phone please do not forget to specify serial number of your Enigma Tool device. KIA Optima (2016-) Renesas D70F35XX – software for data programming by OBD2. KIA Picanto Fujitsu MB91F061BS, MB91F062BS – software for direct microcontroller data programming. KIA Sedona Fujitsu MB91F061BS, MB91F062BS – software for direct microcontroller data programming. Hyundai Sonata Fujitsu MB91F061BS, MB91F062BS – software for direct microcontroller data programming. Mercedes-Benz W212 (2013-2014) Toshiba TX49 – software for data programming by OBD2. Mercedes-Benz W218 (2013-2014) Toshiba TX49 – software for data programming by OBD2. Jeep Cherokee (2015-) NEC D70F3525 – software for data programming by OBD2. Iveco Daily (2015-) BCM 95640 TSSOP – software for data programming by EEPROM. Renault Kangoo (2015-) Fujitsu MB96 – software for data programming by OBD2. Mitsubishi Raider Motorola HC9S12 – software for data programming by OBD2. Opel Astra (2011-) BCM 25160, 95160 – software for data programming by OBD2. BMW F20 1 SERIES – software for data programming by EEPROM. FIAT 500X 24C32 – software for data programming by EEPROM. FIAT Ducato (2011-) 95160 – software for data programming by EEPROM. FORD Focus NEC 95320 – software for data programming by EEPROM. FORD Transit NEC 95320 – software for data programming by EEPROM. Iveco Daily Dash (2015-) 24C16 – software for data programming by EEPROM. Piaggio MP3 (2015-) 93C66 TSSOP – software for data programming by EEPROM. Smart Sam Module MC9S12256 – software for data programming by EEPROM. Ssangyong Korando 93C86 – software for data programming by EEPROM. Toyota Avensis (2015-) 93C66 MSOP – software for data programming by EEPROM. Toyota Ractis 93C66 – software for data programming by EEPROM. Yamaha R1 (2015-) 93C86 MSOP – software for data programming by EEPROM. Enigma Tool – 3.23 was last modified: April 12th, 2016 by Cardiag Inc.
Posted on 06/08/2015 12/04/2016 by Cardiag Inc. This is the latest software update (released on 2015.08.06) for Enigma Tool device. Please contact us if you need more information about this Enigma Tool update or if you want to purchase it. If you need software update price calculation by email or phone please do not forget to specify serial number of your Enigma Tool device. Dodge Challenger (2015-) TFT NEC UPD70F3525 – software for data programming via OBD2. Hyundai Sonata (2015-) COLOR TFT – software for data programming via OBD2. Kia Rio (2015-) NEC UPD70F35XX – software for data programming via OBD2. Maserati Ghibli (2013-) 95160 EEPROM – fixed and improved software. Maserati Quattroporte (2013-) 95160 EEPROM – fixed and improved software. Audi 95640 25640 Crypto EEPROM – fixed and improved software. Porsche 95640 25640 Crypto EEPROM – fixed and improved software. Opel Ampera (2012-) BCM 24C16 – software for data programming via OBD2. Chevrolet Volt (2012-) BCM 24C16 – software for data programming via OBD2. Dodge Dart (2014-) TFT – software for data programming via OBD2. FORD Galaxy (2007-) big LCD 24C16 NEW SW IDS – software for data programming via OBD2. FORD Mondeo (2007-) big LCD 24C16 NEW SW IDS – software for data programming via OBD2. FORD S-MAX (2007-) big LCD 24C16 NEW SW IDS – software for data programming via OBD2. Citroen C5 BSI 95128 – software for direct EEPROM programming. Dacia 95020 Dash – software for direct EEPROM programming. Hyundai HD65 93C56 – software for direct EEPROM programming. Jeep Renegade 95320 TSSOP – software for direct EEPROM programming. Lexus IS 300H 93C66 TSSOP – software for direct EEPROM programming. Mitsubishi Canter 24C64 – software for direct EEPROM programming. Mitsubishi Spacestar 93C66 – software for direct EEPROM programming. Peugeot 308 Dash 93C66 South America – software for direct EEPROM programming. Peugeot 408 Dash 93C66 South America – software for direct EEPROM programming. Peugeot 408 BSI 95128 South America – software for direct EEPROM programming. Suzuki GSX-R 1250 FE 93C56 – software for direct EEPROM programming. Yamaha V-MAX 93C76 – software for direct EEPROM programming. Enigma Tool – 3.19 was last modified: April 12th, 2016 by Cardiag Inc.
Posted on 20/06/2014 20/04/2017 by Cardiag Inc. This is the latest software update (released on 2014.06.20) for Enigma Tool device. Please contact us if you need more information about this Enigma Tool update or if you want to purchase it. If you need software update price calculation by email or phone please do not forget to specify serial number of your Enigma Tool device. Enigma Tool – 3.13 was last modified: April 20th, 2017 by Cardiag Inc.
Posted on 09/04/2014 20/04/2017 by Cardiag Inc. 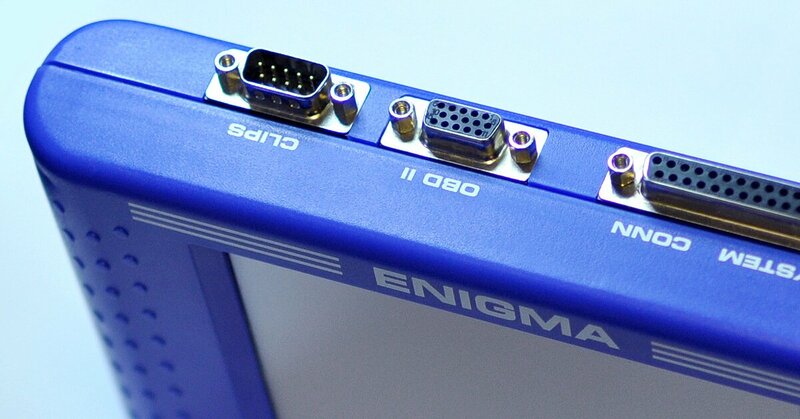 This is the latest software update (released on 2014.04.09) for Enigma Tool device. Please contact us if you need more information about this Enigma Tool update or if you want to purchase it. If you need software update price calculation by email or phone please do not forget to specify serial number of your Enigma Tool device. Enigma Tool – 3.12 was last modified: April 20th, 2017 by Cardiag Inc.